Vector Health commenced in 2010, in Rockhampton. 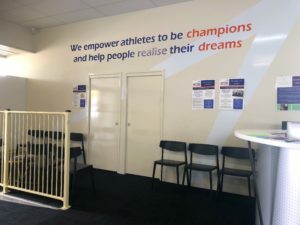 Owner, Glenn Hansen wanted to provide an opportunity for people within the Central Queensland region to experience a higher standard of health, fitness and performance services than what was currently available in the region. From 2 people in 2010, to now 12 staff in 2018, the business has grown to suit the needs of our clients in Central Queensland. Vector Health is a place for you, if you are prepared to immerse yourself in the coaching or treatment process. We treat everyone like a member of our family. Also being a small business we really value everyone’s contribution. We are not a gym and we are not a physiotherapy practice. We are multi-disciplinary by design and by nature, driven by your performance, and we customise everything we do, to your needs and to your goals.